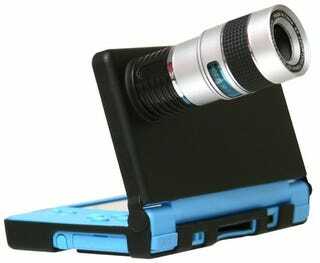 Peripheral maker Nyko is releasing an add-on lens for the DSi's 0.3 megapixel camera. The lens has a 8x and is detachable. The US$25 price isn't outrageous at all, but surely you can look like a goober for less!